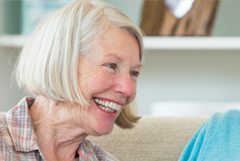 The ACH Group Board comprises members representing a wide range of skills and expertise in the areas of healthy ageing, aged care, finance, law, health, business development, local government, property, public policy, media, quality, risk, housing and governance. 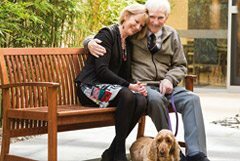 The Board is responsible for ensuring that the resources of ACH Group are used to the maximum benefit of older people. The Board has the following committees to give greater emphasis to its current strategic priorities: Governance, Finance, Risk & Audit, Customer & Brand Equity, and the Major Projects Advisory Board; all of which report to the ACH Group Board, and complement the ACH Group Foundation. 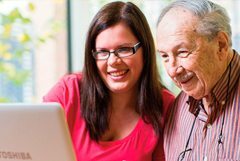 Geoff Holdich believes in providing meaningful opportunities for older people to live good lives, promoting good health and happiness. He is Chairman of BRM Holdich, a Fellow of the Institute of Chartered Accountants, a registered tax agent and auditor and has financial planning qualifications. Mr Holdich was previously the Managing Partner of PKF where he was responsible for five offices in SA and NT and served on PKF’s National Council. He acts as Chairman of three other professional service firms, is active as a mentor to senior level executives and as a career management consultant. He is a member of the SAHT Audit and Finance Committee. 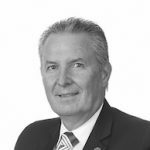 Up to 26 October, 2015 Mr Holdich was Treasurer and Chair of the Audit & Finance Committee of ACH Group. Mary Patetsos believes that life is an opportunity not to be missed, regardless of age, gender, culture and capacity. This philosophy is reflected in Ms Patetsos’ membership on a number of boards including Chair of FECCA (Federation of Ethnic Communities’ Councils of Australia), Chair of the SA Local Government Grants Commission, Council member of the University of South Australia, Deputy Chairperson Health Performance Council and member National Aged Care Alliance. She is also a Chair and non-Executive Director of Power Community Limited and is a member of AICD. 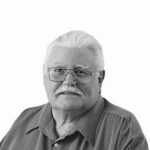 Brent Blanks is a strong advocate for older people to have active lives that enable them to contribute to the community. As Principal of Heygrove Consulting, Mr Blanks provides strategic advice to the construction and property development industry. He is also a Director of FMG Engineering, a consultancy providing engineering, forensic and soil testing analysis. Mr Blanks was Chair of the ACH Group Board 2006 – 2015. 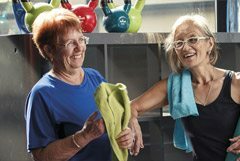 Marjorie Schulze is a strong believer that we all have a responsibility to change the perceptions of what it means to grow older. A former Pharmacist with tertiary qualifications in Public Policy and Management, Ms Schulze was awarded an OAM in 2002 in recognition of her services to Local Government and the community particularly through health and human service organisations. Up to 26 October, 2015 Ms Schulze was Deputy Chair of ACH Group. 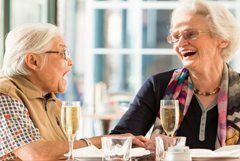 Click here to watch a short video that captures Marjorie describing what makes a good life for her, and how ACH Group supports good lives for older people. John Hill’s desire to be part of an organisation which puts people first, along with his extensive experience in public life, as Minister for Health and Ageing in the SA Government for seven years, sees him well positioned to help ACH Group respond to the aged care reform agenda. He is pleased to have been appointed deputy Chair of ACH Group. Having left full-time employment John is enjoying an ‘encoreʼ career as a Board member of several significant not-for-profit South Australian organisations in the fields of arts, health, education and water research. 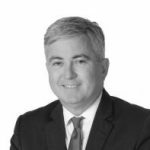 John is a Director of Capital Strategies Pty Ltd, an Adelaide based corporate advisory practice. He specialises in the provision of corporate advice to property/infrastructure projects and private venture/development capital matters. The firm also provides asset and investment management services and advice to private investors. John previously qualified as a chartered accountant with Touche Ross (now KPMG) and worked in their management consulting division. John is also Chair of the Women’s & Children’s Health Research Institute Inc and a Director of Barossa Infrastructure Ltd and The Creeks Pipeline Company Ltd.
Michael Luchich strongly supports creating positive opportunities for older people to live healthy good lives, as well as placing greater emphasis on promotion and advocacy for older people in our community. 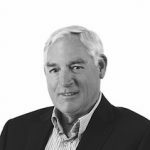 Michael has extensive experience in growing businesses across Australia and New Zealand from start-ups, to SMEs, corporate, governments and multinationals with a specific ICT focus . 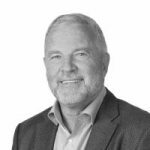 He has extensive leadership experience across diverse industry backgrounds and is specifically focused on driving business performance through effective use of technology, operational excellence, customer service, business development and marketing. He also serves on a number of boards in the not-for-profit sector, and with his ICT background provides a strong technology emphasis in driving ACH Group’s technology strategy. Michael is also Chair of the ACH Group Foundation, with particular focus on raising funds for various arts and wellbeing programs including the ACH Group Brain Health Scholarships. 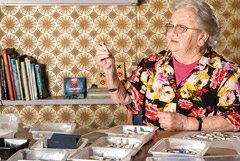 Celine McInerney considers herself privileged to be able to influence and promote independent and healthy living for older people based on their choice. A well known performer in radio, television and film, Ms McInerney is General Counsel for the University of Adelaide and a Director of several commercial and not-for-profit organisations, including the National Wine Centre and the National Policy Advisory Council for the Internet Industry Association of Australia. 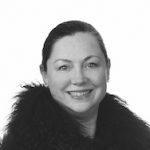 She was a 2003 State Finalist in the Telstra Business Women’s Awards and the South Australian award recipient for the Asia Pacific Business Women’s Awards in 2005. 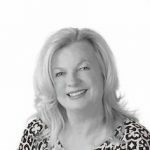 Julie Mitchell is a corporate social responsibility and communication specialist who believes in the power of words, and has a desire to change the narrative around describing ageing. 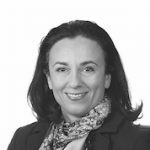 Ms Mitchell has designed and executed complex community investment programs in locations through Australia and Asia including managing the needs of corporate and not-for-profit clients in her consulting practice. Julie is also the Deputy Chair of Patch Theatre Company, Chair of Common Ground and a Member of the Foundation of the Botanic Gardens of Adelaide, and a Director of Health Choices Australia. Graeme Percival is a strong supporter of the provision of quality services that support good lives opportunities, and affordable housing options especially for the most vulnerable. 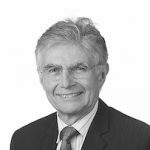 A Company Director and Retired Trust Officer, Mr Percival is a Member of the Executor and Trustee Institute and Australian Institute of Company Directors. He is also a Member of the Finance, Risk and Audit Committee, and the ACH Group Foundation. Brenda has a passion for contributing to healthier lives for all people, and as our population ages, the value of maintaining this as we age. 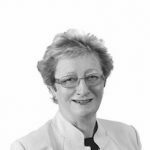 She has worked in the health industry since 1973 in the public, private and not-for-profit sectors in Australia and the UK. 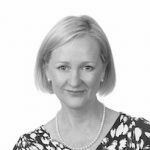 In addition to her Board position with ACH Group, Professor Wilson is a Director at ACHA Health, a Member of Flinders University Council and Executive Committee, a Director of the Northern Adelaide Local Health Network Governing Council, and a Director of the State Opera of South Australia. Brenda is a Fellow of the Australian Institute of Company Directors. She was the recipient of the 2000 Telstra Business Women’s Award: Corporate and Government Sector and the 1999 Johnson and Johnson Wharton Fellowship program. In 2014, Professor Wilson was appointed as South Australia’s first female Lieutenant Governor. 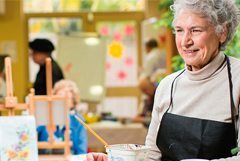 Craig Holden shares in the commitment of ACH Group in the promotion of Good Lives for Older People and is supportive of the many benefits of ageing well by living an active, independent healthy lifestyle. Craig has experience in design and property development with qualifications in architecture, project management and construction and is an executive member of the Urban Development Institute Australia (SA) involved in advocating progressive policies for the development sector. 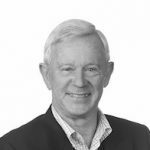 Craig is Deputy Chair of the SA Housing Trust and as a former board member of Common Ground Adelaide he has an ongoing commitment to the not for profit sector in the provision of affordable and social housing.